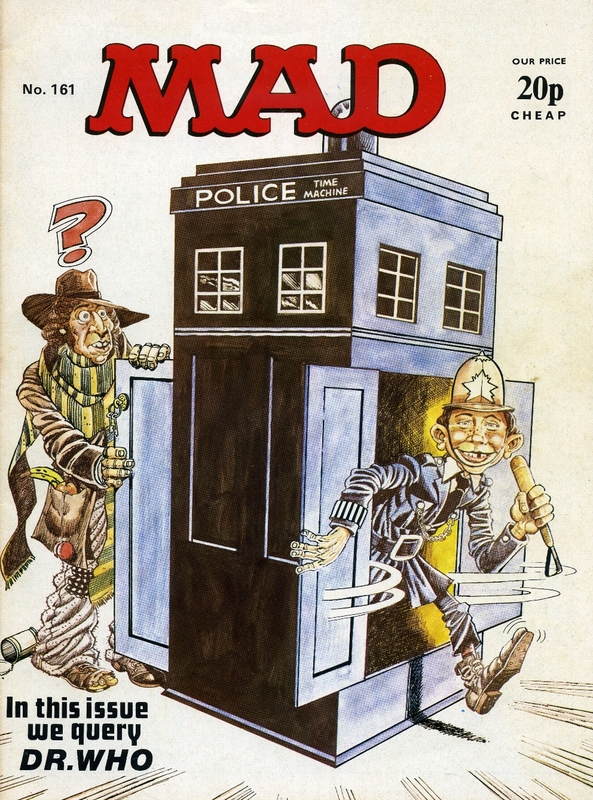 The UK edition of Mad Magazine, published by Thorpe and Porter began in 1959. Over the years there were a number of UK sourced covers and sometimes UK produced interior stories. Here are a few Mad UK covers from the 1970s with such topics as British Rail, Doctor Who, the Royal Family…..even the long-running TV soap opera “Coronation Street”. I see that the price more than doubled between 1971 and 1979 but it was still “cheap”.